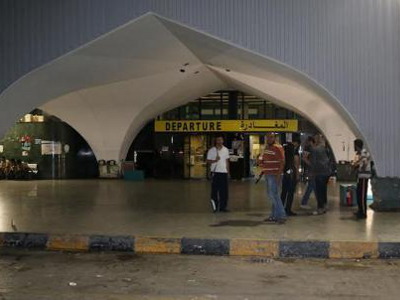 The airport in the Libyan capital Tripoli reopened on Saturday after a brief closure due to an unidentified drone flying in the area, officials said. Haftar has not said he wants to march on Tripoli but an LNA website carried an unsourced report this week saying it could happen, adding that the LNA was working with people inside the city. The United Nations, alarmed about the possibility of a military escalation, is mediating between Haftar, who is allied to a parallel government in the east, and Tripoli premier Fayez al-Serraj, who heads the U.N.-backed administration. The United Nations has been trying for years to pull the oil producer out of conflict but made little progress.